Tell us in the comment section which one are you looking forward to attend. Whatcha waiting for then? Don't you want to set off for the weekend whoopee already?! A summer Saturday evening filled with rib-tickling laughter and comedy is just the perfect beginning to set off the weekend rolling. And what better than a stand up comedy show for some in-the-moment laughs?! Doesn't get better than this, right? 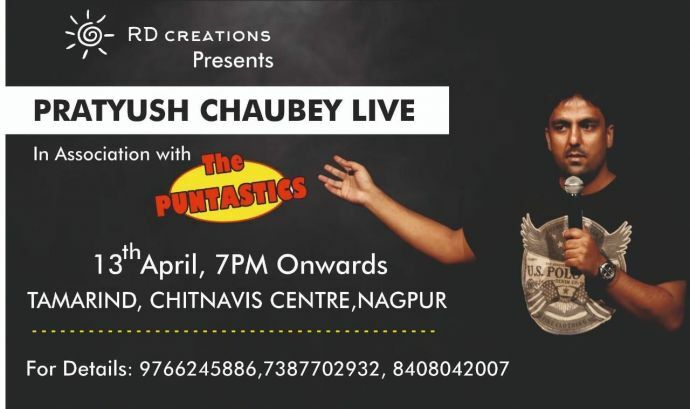 So head over to watch Pratyush Chaubey - an engineer-turned-comedian from Varanasi and a regular performer at the Canvas Laugh Club - leave you in splits and in good spirits this evening! Where: ‘Tamarind’ – Chitnavis Centre. With the recent threat looming over the fate of Bharat Van, the residents and the green activists of the area and across the city have decided to save their green glory by spreading awareness. 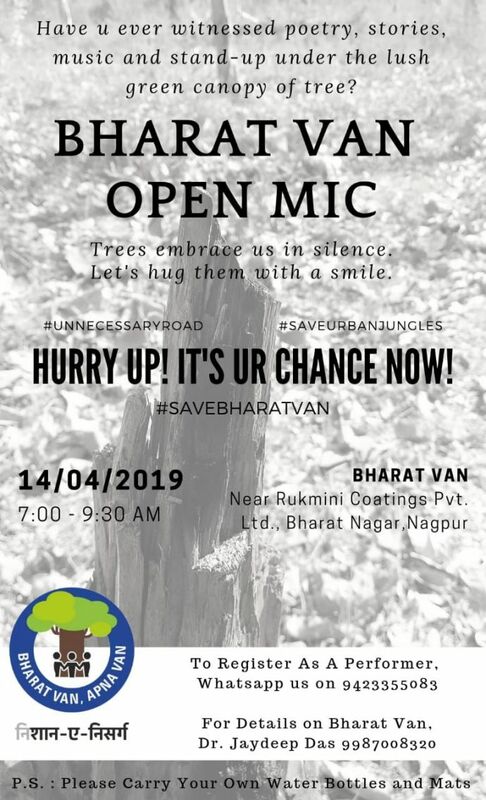 Every Sunday over 100 residents of Nagpur gather to raise awareness against cutting of trees and conduct events like painting, photography, treasure hunts which raises the peoples love for this cool and oxygen rich area.This Sunday the citizens along with Radio Mirchi are conducting an Open Mic event where creatives, poetry, short plays, stories, etc. would be seen and heard under the green canopy of Bharat Van. Spare a Sunday morning to give back to nature, maybe? Where: Bharat Van – Near Rukmini Coatings Pvt. Ltd., Bharat Nagar. 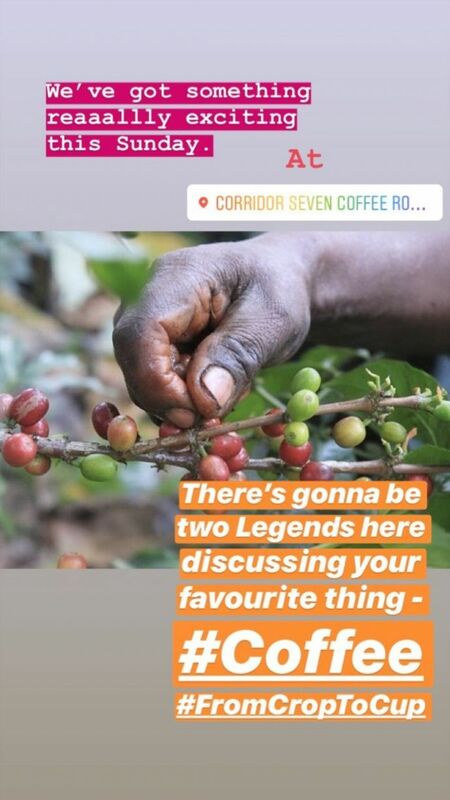 Coffee lovers should wake up and smell the coffee this Sunday at 'Corridor Seven Coffee Roasters' as the head roaster of Corridor Seven who is a coffee Q-grader and Indian Aeropress Champion of 2017, Mithilesh Wazalwar teams up with Soumyajit Roy - an organic coffee producer from the Nokrek Ranges of Meghalaya. The duo will talk - coffee, coffee and only coffee - to give you deeper insights as to what goes into brewing you that perfect cuppa! Where: Corridor Seven Coffee Roasters, Sitabuldi. We have all been sent to summer schools and workshops after school's final exams by our mothers dearest to hone our art and craft skills. Call this one an extension of your art class as Kruttika - your teacher for the day - takes your through brush lettering session. In addition to simple lettering, she will also be teaching how to blend two colors for brush letterings. 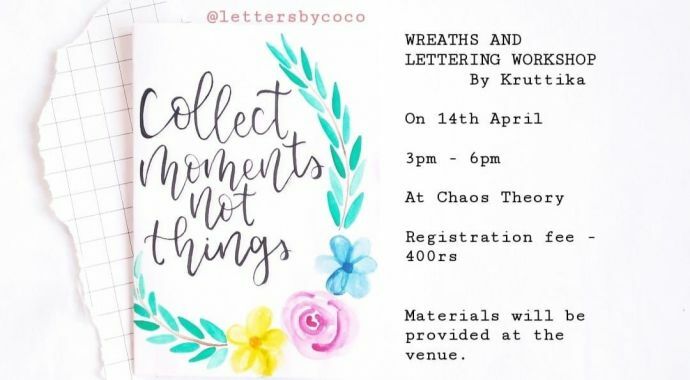 And last but not the least she will tutor the attendees on how to do wreaths (both watercolors and drawing). Looking forward to honing your artsy skills? Find yourself here! ewybgyuwouahewjwoeijijewjefej - Just cannot keep calm for the season finale is here! After waiting for what seems like eternity, we will finally set out on the journey to see who clinches the Iron Throne. We are just two sleeps away from the first episode to drop in, and since it is SUCH. A. BIG. 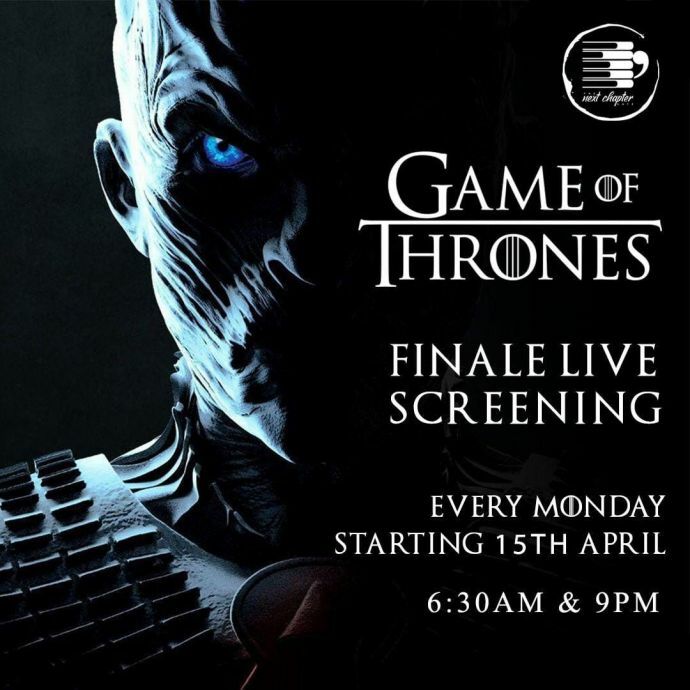 DEAL, two coolest cafes in town have decided to premier the show right along its telecast time. Premier show and good food at the coolest cafes - Monday never GOT (pun intended) so much better!